Kauffman Roofing, headquartered in Jamesport, Missouri, is an industry-certified roofing contractor. We have the experience and roofing expertise to meet all your roofing needs including commercial roof installations, commercial roof repair, roof leak repairs and roofing services. In need of commercial roofing contractor for your commercial building? Whether your needs are a flat roof repair or a full-blown roof replacement for your business, Kauffman Roofing can be the solution to your commercial roofing problem. The team from Kauffman Roofing is known for delivering high-quality workmanship. We work hard to please our customers, and we will provide you with top-notch results without cutting corners. If you want a roofer who will keep your best interests in mind from start to finish, contact us today to schedule an estimate. While we specialize in repairs, preventative maintenance, and roof replacement, we have also customized our efforts to going beyond just being a capable roofing company, to one that offers full concept design services including needs assessment, specification writing, and value engineering options. No matter your business or building size, Kauffman Roofing offers quality commercial roofing solutions to meet your roofing needs. We’ll work with your architects and contractors to develop a customized roofing plan for your new commercial construction. Or, if you’re the proud owner of an existing commercial structure requiring roof installation, roof repair, or roof maintenance, we’ll be on hand to help. Has your building’s roof sustained extensive weather-related damage? Is your building's roof old, worn out, or not up to code? If the answer to either question is "yes", then you need a reliable roof repair company, and fast. Poor roof performance can result in mold, structural problems, and interior damage. When you need commercial roof repair services, trust the team at Kauffman Roofing to get the job done. Our experienced roofing contractors approach every project with precision and care. Every building needs a solid roof. At Kauffman Roofing, we offer quality commercial roof installation services to property managers and building owners across our service area. Roof leaks are one of the most common problems encountered by home and business owners. A leaky roof is a serious nuisance, and left untreated, it can cause a tremendous amount of damage to your home or commercial property. If you need roof leak repair work in a hurry, the company to trust is Kauffman Roofing. Foam roofing offers excellent insulation value and a smooth, durable, seam-free barrier against the elements. This ENERGY STAR rated, thermoplastic membrane provides fantastic protection from the elements. Metal Roof Restoration systems can save you the huge expense of replacing your metal roof. 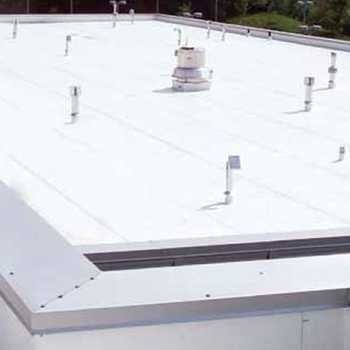 Membrane coating systems improve and extend the life of an existing membrane roof. 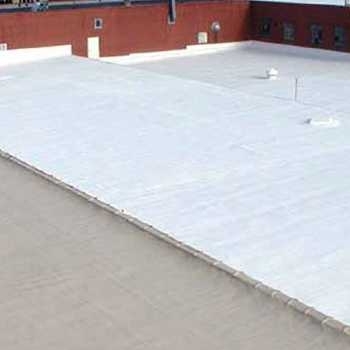 A fabric-reinforced roofing system combines the leak-resistant seamless membrane with the toughness of a single-ply system. Contact us today for your free, no-obligation roof inspection and estimate.